If you are reading this article, chances are you already know a thing or two about mid-century modernism. We want to bring back some topics from our previous articles this 2019 in order to appease those audiences that are just getting to understand the different styles and tenets of interior design and furniture. The Mid-century modern style, in particular, is our banner and inspiration, and we’re proud to be able to furnish America with quality replicas inspired by the works of the best designers from that period. Our Eames Lounge chair with ottoman, particularly, has been awarded number one on the Houzz portal. Other best-selling items in our catalog include a gorgeous replica of Eero Saarinen’s Womb chair, the Eames Aluminum Group office chair, and Saarinen’s Tulip Table. The mid-century modern style of furniture has something for everyone, so here are 5 key elements of this style that might help you get a quick sense of what it’s all about. The style from the 1950s and 60s originated from the work of the Bauhaus designers in Germany and other influences like the international Arts and Crafts Movement from the beginnings of the 20th century. 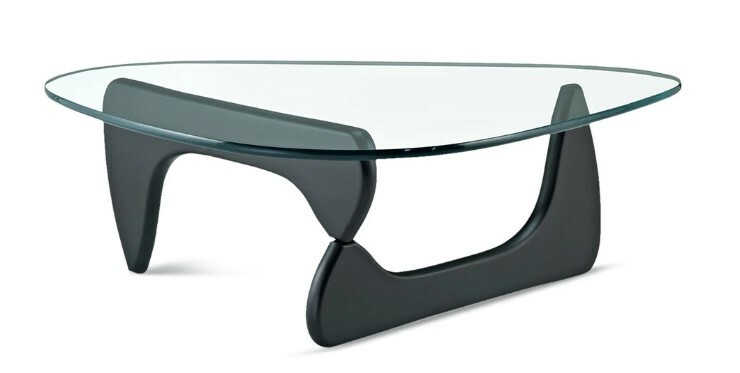 A mixture of influences and a certain focus on functionality and versatility, which probably came from the aura of the Industrial Revolution, led certain designers to create furniture that was minimalist, meaning that it didn’t have elaborate ornaments on the frames, cushions, or even patterns on the upholstery, etcetera. There was a focus on cleaner lines, neutral colors, and a certain sleekness that’s characteristic of mid-century modernist pieces. Two great example of the sleekness of mid-century furniture are our Noguchi table replica, and also our Eames plywood chair replica. Following along with this line of thought, we can also appreciate that mid-century designers had a thing for geometry, which is also a way of returning to the most basic elements of design, and shedding ornamentation, in order to favor both functionality, versatility, and aesthetic. This is why rectangular, circular, and triangular shapes are very, very noticeable. And you can also find diamond-like shapes, cylinders, and cubes, but you will seldom find more elaborate shapes than these. This kind of approach to geometry is key to understand the natural feel of this furniture, which is what the designers intended (most of them). The Arco Lamp, inspired by the original design by Achille Castiglioni, is a very good example of the modernist take in geometry. Just a solid marble cuboid, a circular base, and a sleek curved neck that binds the two of them together. Some mid-century designers attempted to copy shapes and ideas from the natural world. For example, consider the following chairs’ names: Womb chair, Ox chair, Egg chair, Diamond chair, and Bubble chair. These are all made by different designers. What do they have in common? They were inspired by a particular element of nature. Along with the choice of geometric shapes (also an attempt to return to nature), this particular brand of design is called ‘biomorphism,’ which simply means trying to make something that resembles life itself. The Eames Lounge chair, though not really biomorphic, was said to have the feel and shape of a “well-used first baseman’s mitt.” The Arco Lamp mentioned above was reportedly inspired by a tall European streetlight from the 20th century. These could also be considered examples of biomorphism, to some extent. When the rainy season kicks in, you know all too well that it is time to start searching for the best roofing contractors Downriver Michigan to ensure that your home is protected. It may seem like a challenging task to choose a good roofing contractor. But, the truth is it is fairly simple. Below are some important steps you should follow to ensure that you will choose a trustworthy and legitimate roofing contractor in Downriver Michigan. When looking for roofing contractors Downriver Michigan, one of the foremost things you should do is to check and verify that they have all the necessary businesses licenses as required by the national and local government. It also makes sense to look into their official business address, contact number, business and contractor licenses. Past clients are the strongest proof of the legitimacy of a roofing contractor in Downriver Michigan. You can check feedback or recommendations online if possible to see what previous customers have to say regarding a certain service provider. You might also ask from the contractor a list of references of previous clients together with their contract information. Never hesitate to ask for project details. Questions such as the length of time required to finish the project and the number of people that will work on it are valid and sensible questions with answers you have to know. It can help you determine how the project will be handled and supervised as well as the timeframe for which there will be workers in your home. There are instances when roofing manufacturers offer training and certification for roofing contractors Downriver Michigan that will install their roof products on the homes of customers. It is to guarantee that the quality is maintained throughout the installation process. You can ask for certification or proof of training if possible to ensure that a trusted manufacturer vetted your potential contractor. Make sure you request for a contract that lays down the project details and the agreement between the contractor and you. This is the contract where both of you can sign so that if ever things go wrong, there will be written proof as to who is accountable for this or that. The contract must include details about the timeframe of the project, warranties, daily end and start times, equipment, tools, and materials to be used, payment method and amount, safety protocols, payment date, and clean up procedure. 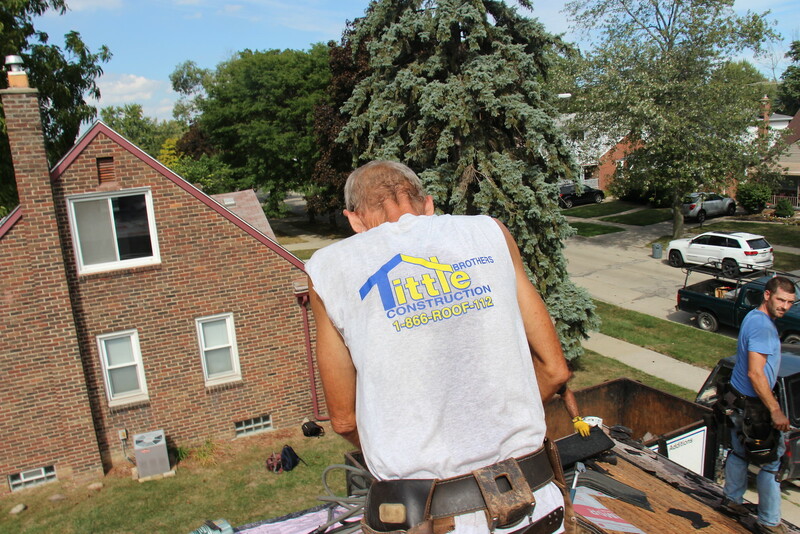 Finding reliable West Bloomfield Michigan roofers can be a daunting task. This is a significant investment that you can never take for granted. You want to guarantee the longevity and health of your roof. 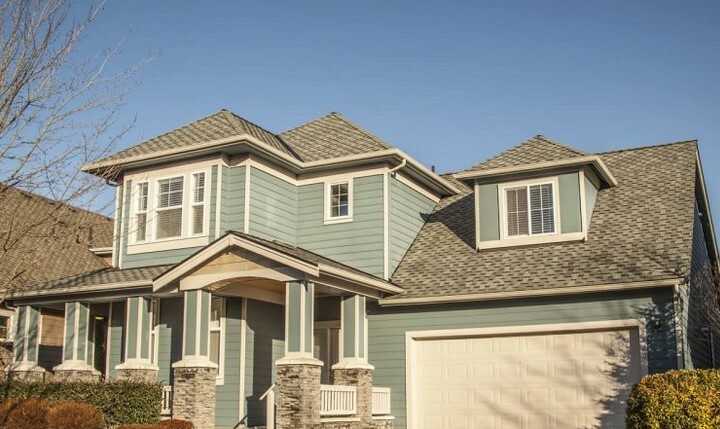 When you choose the right roofers, you can have the peace of mind knowing that you will get only the most honest assistance and suggestions with your roofing requirements. Knowing how to identify legitimate roofers helps ensure that you will get the best bang for your buck. Below are a few useful tips on how to spot a scam or fake roofer and how to tell whether or not a roofing company is worth your time and money. The best West Bloomfield Michigan roofers are certified. They have the required certifications and training that allow them to offer their services. 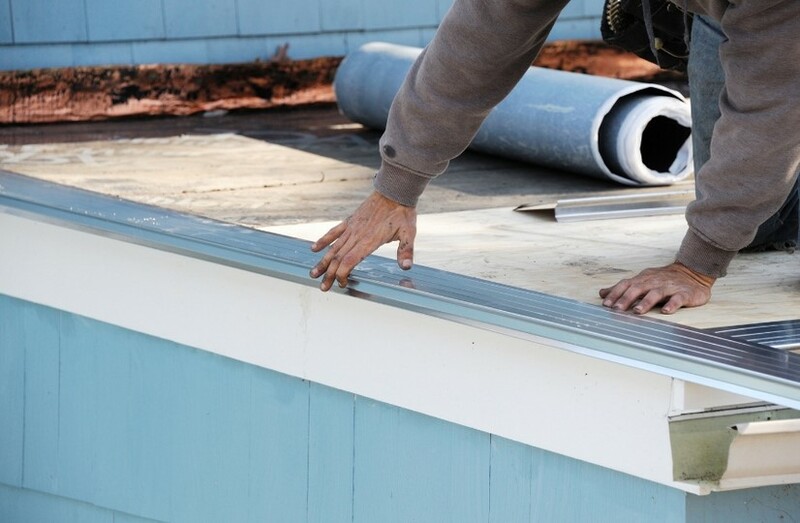 This is also a great way to ensure that your roof will be placed in the hands of qualified experts. A trustworthy roofing company will be more than happy to show you their certifications even if you don’t ask for them. But, it won’t hurt to ask, of course. You can expect different results from different roofers. You want to make sure that the roofer you work with has the necessary insurance. They will need liability insurance and a workman’s comp insurance at the same time. A roofing company worth their oats is expected to have such coverage. 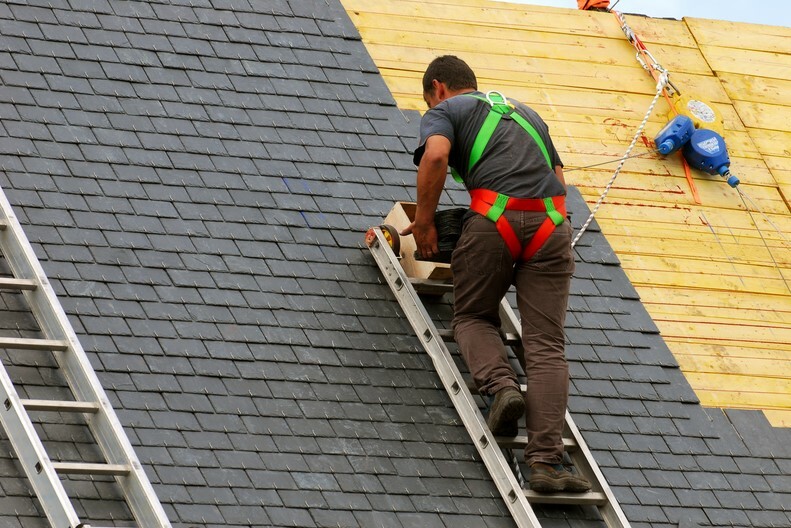 This is among the most crucial steps in finding West Bloomfield Michigan roofers because when something happens on your premises, you might be held liable for the injuries or damages. Roofing Dearborn Michigan is one of the most valuable assets of your home. This is a major investment that you have to protect for as long as possible. Sadly, most of the time, Mother Nature has different plans. As a homeowner, there are several things you can do to ensure that your roof is storm-proof so that your investment will not go to waste. Inspect for any pre-existing leaks. If there is something storms are good at, it is turning a simple flaw such as a leak into a serious one. The most ideal way to check for any leaks is to go to your attic and search for any telltale signs such as water stains or spots. If there is nothing there but you suspect that there is problem, you can ask someone from your family or a friend to go and imitate rain on your roof with the use of a garden hose. Trim away trees from the roof. Among the biggest problems for roofing Dearborn Michigan during severe weather events are airborne and falling debris from nearby objects, particularly trees. Even though a branch or twig that blows across the shingles might not present any problems, a bigger limb or the entire tree trunk itself can lead to catastrophic damages not just to your roof but also your home. Make it a part of your home maintenance routine to keep trees cut back for a minimum of 6 feet from your house. Conduct regular checkups of your roof. When to Hire Roofers Canton Michigan? Should You Go Local? Jan.11, 2019 in Home Comments Off on When to Hire Roofers Canton Michigan? Should You Go Local? While most of you are tempted to take the DIY path instead of hiring professional roofers Canton Michigan for your roofing project, it’s a bad idea. You might think DIY route would save you money, yet in the end, it is actually both smarter and economical to hire expert roofers. So, when should you hire roofers and what are the reasons why you must hire one? Roof repairs can be risky. With the help of professional roofers, there is nothing you should worry about. The reason behind it is that they have the experience and training to complete the job safely. Aside from that, they can also spot the roof parts that might be not safe to walk on because of the rot or some problems which many homeowners would miss. If you hire professional roofers, you are basically investing on their experience. If your roofing project could seem straightforward, professionals have the experience and skills to know the most reliable and efficient way to get the work done properly. As professional local roofers, they can spot roofing issues that any untrained eyes would miss often. Tropical country like Indonesia is the place where bamboos are easily growing. In that case, bamboos are often used to fulfill the house equipment, and also furniture. Many of Indonesian furniture are made of bamboo, which is cheaper than the furniture made of teak wood. One of it is bamboo bed. You might often see this type of bed to be the base of the massage bed. These bamboos can be cut and turned to be single or king size bed. Using bamboo as the basic material of bed will give the traditional look and bring you to the nature feeling. Bamboo is also strong material to support thing, so that turn it to be bed is good idea as it is durable for long time. Except for making bed, bamboo, as the basic material of Indonesian furniture, is also made to be shelves. Once again, you might often find this kind of shelves in massage place. Bamboo is indeed one material used for making furniture as it give the natural look. The artistic of bamboo is placed to its natural beauty and color. Although bamboo shape is simple, it still give the traditional and natural look to the house atmosphere. In aforementioned statement, bamboo is strong material to make for object that supporting other. There are different kind of bamboo shelves, which is commonly designed for the decoration place in the house corner. 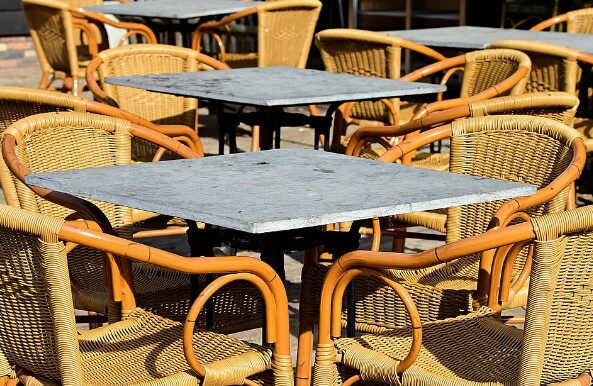 As one of the best Indonesian furniture, bamboo is also used for the table set material. Table, chair, and even sofa, could be made from bamboo. To make it as sofa, bamboo commonly cut into thin rectangle shape, and turn it to be like straw. It is then embroider to be sofa shape. This bamboo straw are also could be used as the seating place of the chair. While the whole bamboo is often cut and left to be like its original shape, and then combine it with other bamboo and turn it to be chair and table. Hiring roofing contractors Dearborn Michigan can be considered as an investment. This is also something that calls for a certain level of trust. After all, how many times have you bothered to check your roof on your own and assess its condition? The people you will hire to get this job done should be knowledgeable, upfront, and honest about your roof or else, you might end up dealing with unnecessary expensive repairs or worse, you might face an infinite number of quality-related issues. You will also need people with long years of expertise and experience in the industry as well as an extensive understanding of all roofing procedures and safety practices. Before signing on the dotted line with a roofing contractor in Dearborn, Michigan, here are a few things you have to consider. There is so much more than supporting local small businesses than what it seems. 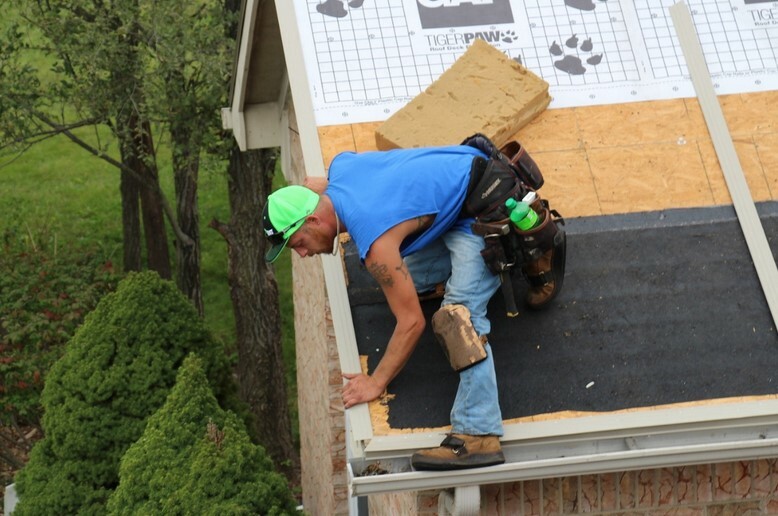 A local and well-established Dearborn, Michigan roofing contractor understands the specific climate conditions in the area. This is something important as far as choosing the right design, materials, and others are concerned. Hiring a trusted local company also serves as a protective measure. There are instances when not so honest companies provide extended roof warranties only to relocate or close shortly after, leaving clients in a helpless situation. Looking into the insurance of potential roofing contractors Dearborn Michigan is not just a mere consideration because it is a must-do. You can request for workers’ compensation insurance and proof of liability. Not every contractor offers manufacturer warranties which include coverage of the workmanship of the contractor. When in doubt, don’t hesitate to contact the insurance carrier of the company to confirm the things you were told. After all, a roofer performs hard work in tough conditions and in some instances they work dozens of feet above the ground. Things can go wrong, right? It is sad to see storm chasers who are responsible for most roofing scams these days. They are those who come knocking right after a storm or after claiming to that they serviced some homes in the neighborhood. Get a second opinion if you were told about damage on your roof. Tell them that you will talk to someone else before you make a decision and ask for their business card. This will let you do your own research first before you assume that they are a legit contractor. You also get what you pay for as far as your roof is concerned. While you can always hire the guy who came driving his pickup packed with tools and gave you a cheap quote, you will be in serious trouble if that guy gets into an accident while working and is not insured or when he does a poor job and disappears all of a sudden. Reputable roofing contractors Dearborn Michigan have some overhead costs to cover but they can also provide a certain level of comfort in terms of quality guarantees and insurance coverage alike. Choose the most reliable roofing contractors Dearborn Michigan to avoid regrets in the end. The harsh winter season can be very hard on your roofing Ann Arbor, Michigan. The ice, the snow, the freezing, and the thawing can all lead to several issues that may result to expensive roofing repairs when not addressed properly. Below are the most common roofing problems you may face the moment the cold winter season kicks in. You are probably used to leaky flashings if you have a slopped roof. Flashings are those metal strips placed along the ridges, corners, and front edge of the roof as well as around the skylights and chimneys. During a violent storm or when installed improperly, these flashing can pull away from the roofing material, leading to water leaks. Check the flashings every 6 months to ensure that you don’t face this problem. Once warm air reaches a cold surface, expect condensation to occur. Sadly, an attic with improper insulation is the number one candidate for condensation to form, leading to mildew and mold that can damage your home’s interior structure. To prevent this problem, see to it that there is proper ventilation in your attic. Insufficient ventilation can cause damages on your roof and decking, encouraging ice dams and shortening the overall lifespan of your roof by half. When winds grow stronger, these can loosen up and shake your roof shingles. If you see some shingles or roof parts on the ground, make sure you call the experts on roofing Ann Arbor, Michigan to have the shingles replaced way before more serious damages occur. You can consider yourself lucky if your yard is filled with trees as it means that you have wonderful scenery all year round. However, the presence of trees can also pose some dangers. There are times when overhanging tree limbs end up scraping the roof surface and damaging the protective top layer. The moment the branches fall on your roof, these too can cause some concerns. To keep your family and home safe when winter comes, see to it that you trim those branches that are around 6 feet from the roof. This also helps ensure that critters will not scamper across your roof and enter there to create their nests for spring. With all the roofing contractors in Canton, Michigan, it is often a complex task, mainly because homeowners in the area don’t really need to work with a roof contractor all year round. On the average, good roofing can last over 15 years, which means that you don’t need a new roof installed every now and then. When looking for a reliable roofing contractor in the area, it is always best to find a trusted name endorsed by reliable services like Hire It Done roofing. What is Hire It Done? 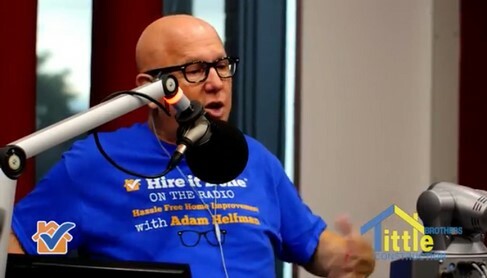 Hire It Done is a show featuring local contractors. When you choose a roofing contractor that Hire It Done endorses, you can have the assurance that you will get the kind of care and service you deserve. All the home improvement contractors they recommend are insured and licensed. They also vet each contractor to ensure that they have adequate staff members who can guide you in transforming your home improvement dreams into reality. The people at Hire It Done have already endorsed hundreds of home improvement contractors with different specialties. And when it comes to Hire It Done roofing, Tittle Brothers Construction is the number one name in their list. Before anything else, choose a contractor with a fixed address. It is surprising how some contractors are using a P.O Box or other similar forms of temporary address. However, it is best to find a contractor who is always available if ever some issues arise. You also have to look for a roofing contractor that have years of experience in serving your local community. Choose a roofer who has been working in your area for years. This way, you can have an idea if the contractor is professional and trustworthy. Is the roofing contractor insured? You want to work with a contractor who has comprehensive liability insurance aside from the worker’s compensation insurance. Although it is less expensive to work with an uninsured contractor, when a worker gets injured during the project, you will be liable for the medical and other additional costs. You will also want a roofing contractor who can easily and clearly communicate with you. It all boils down to professional rapport since a contractor that works for your friend might not work for you. You have to work with a contractor who can answer your questions and help you if a problem arises. Ask your family, friends, and colleagues for their recommendations as it will give you a good idea of the contractors you can call. Better yet, use the recommendation of Hire It Done roofing as they have the expertise to distinguish good contractors from the not so good ones. In this case, Tittle Brothers Construction is a name they suggest for homeowners with roofing needs. Blistering sun, wind, ice, and snow are just some of the main elements that can affect your roof throughout the year. Even though most roofs can last many decades with proper care and maintenance, it is a must that you keep yourself educated and aware of some of the key warning signs that indicate that it is time to hire roofing contractors Birmingham, Michigan. Make sure that you call your trusted local roofing company for maintenance and repairs once you notice any of the signs below. 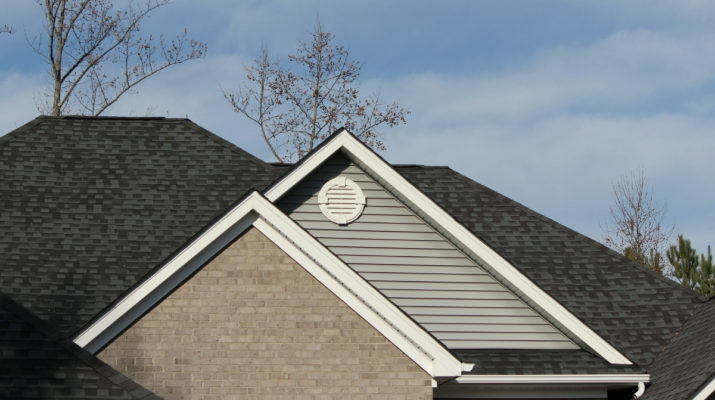 You need to give immediate attention to an excessive number of missing, buckling, or curling shingles because this can make your house more and more vulnerable to the different weather elements. Issues with the shingles can let water get into your roof and cause some serious damages such as mildew and mold growth. Given the right conditions and environment, it only takes 48 hours for mold to grow. This means that when you notice that your roof has broken at some areas, you have to get it fixed at the soonest time possible. Wet spots on your home’s ceilings and walls are a sure indication that water has already penetrated your roofing system. These stains of water are not just unsightly as they can also increase the risks of mold growth within the framework of your house. Before you know it, mold can cause major structural damages with no remediation, and worse, it even poses a respiratory danger. This can then lead to sneezing, coughing, headaches, and rashes. If your roof is already over 20 years old and you notice some granules on the ground or in the gutters, it means that the shingles are already past their intended expiration date. It is always better to hire roofing contractors Birmingham Michigan who can replace your roof now instead of having to wait for more problems to take place in the long run.